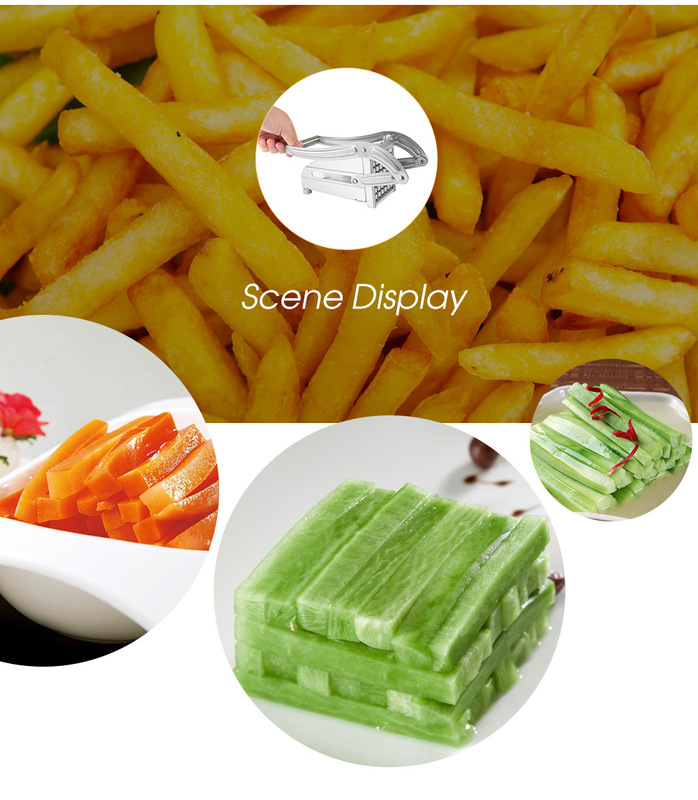 - Multifunctional fashion kitchen products, working efficiently and saving time. 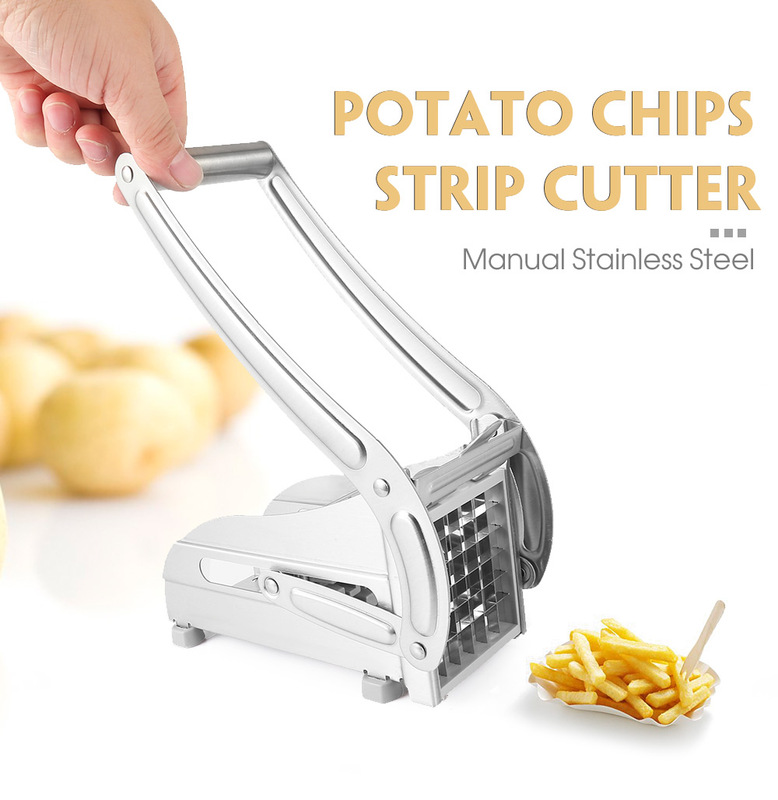 - Could be used to cut potatoes, vegetables, fruits etc. 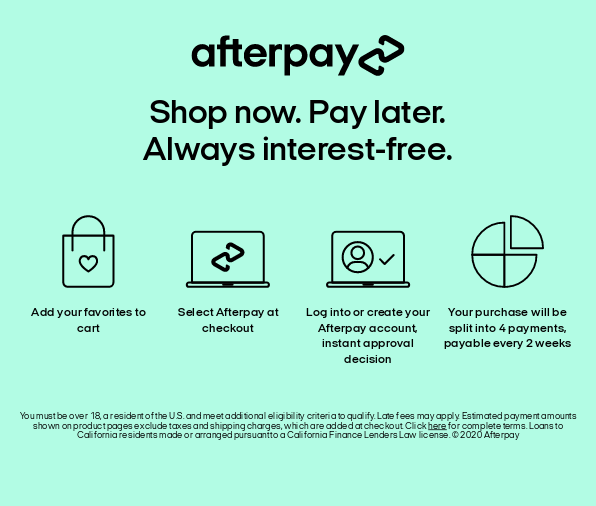 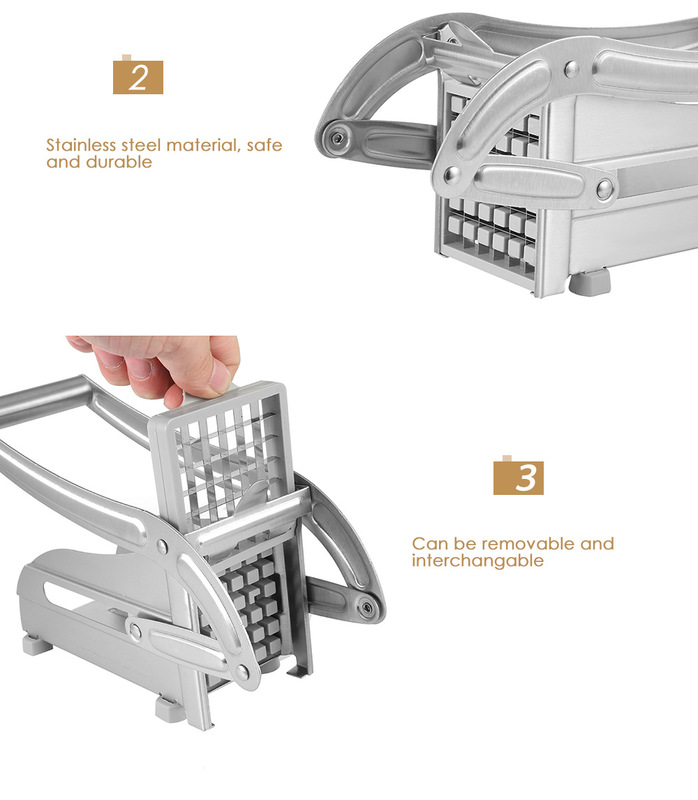 - Very easy to clean, all parts removable and interchangable. 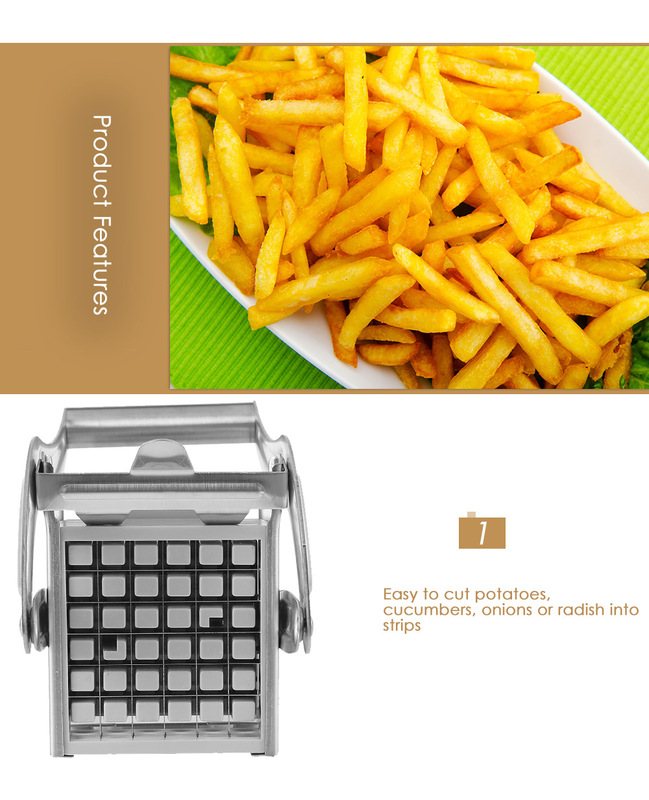 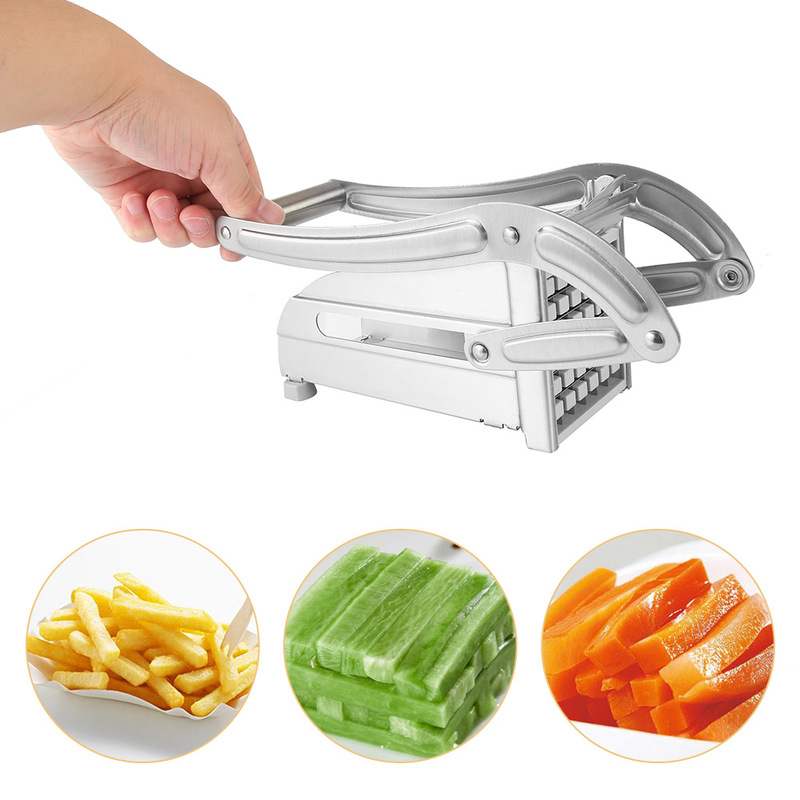 - Durable and convenient stainless steel french fry potato cutter. 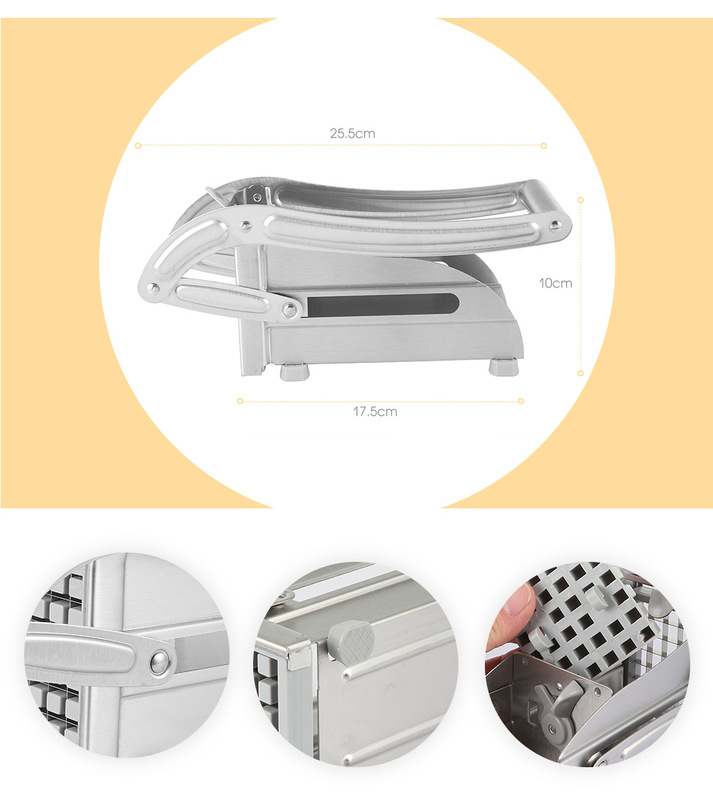 - Unique home living or restaurant cooking tool.